Following a meeting between NY’s hockey teams, the Islanders played a pair of lopsided games while the Rangers had a close call with Washington. Last week ended rather well for the Islanders: they snapped a 5 game losing streak which began with a loss to the Devils by defeating their hometown rivals, and followed the win with a chance to seek revenge on New Jersey. The game was scoreless for nearly two periods, but an offensive explosion late in the second put New York comfortably on top. Tavares scored first with just over three minutes to go, then a second time with under two on the clock. Moulson contributed a third goal to put the Islanders up 3-0 before the third. New Jersey scored its first and only goal nearly halfway through the final period, while Tavares completed his fourth career hat trick and Grabner snuck one last puck in for good measure in the last minute. 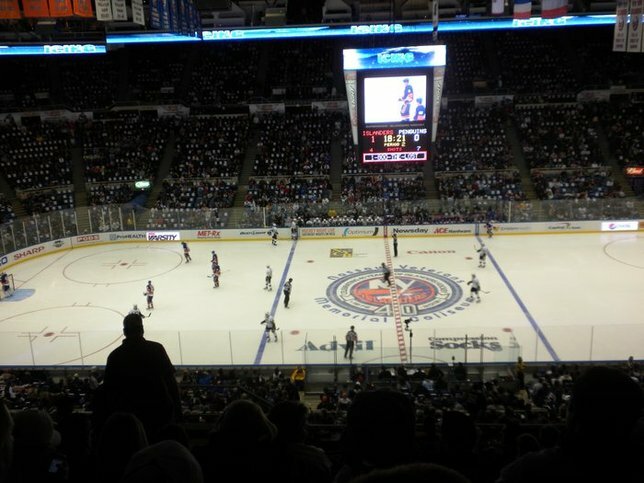 Nabokov blocked 30 of 31 as the Islanders won 5-1. Unfortunately, following that lopsided win, the Islanders fell prey to an even more lopsided defeat. The game did not look too bad when Giroux of the Flyers scored 26 seconds into the game—indeed, Philadelphia would not find another goal for the rest of the period, though neither would New York. When Read kicked off the second period by scoring even more quickly than Giroux had in the first, conditions became worrisome for Islanders fans. When Schenn smacked in Philadelphia’s third goal, things looked even worse; when Giroux closed the period with his second and Philly’s fourth, the game had become dreadful. Still, the day was not entirely without hope—New York still had 20 minutes to mount a comeback—no, the game did not become hopeless until Rinaldo knocked in the Flyers fifth goal three-and-a-half minutes into the third. When Philly scored their sixth it was embarrassing, and when they scored their seventh unanswered goal it had become utterly humiliating. Nabokov blocked only 18 of 25 in the landslide 7-0 defeat. The Islanders will try to recover at 7:30 tonight, against Ottawa. While the Islanders followed up their win over the Rangers with a pair of blowouts both in and against their favor, the Rangers recuperated with a much more measured approach. Hosting the Capitals on Sunday, New York found itself down by 1 after Carlson of Washington scored less than 80 seconds into the first. The Rangers would have no answer that period, but Hagelin tied the game midway through the second. Stepan knocked in the third and final goal of the night 4:25 into the third to give New York a 2-1 win. Lundqvist blocked 27 of 28, playing a key role in the team’s ability to win the low-scoring game. The Rangers play the Canadiens tomorrow night at 7. CASTING for THE NEWLYWED GAME!! Subject: LongIsland.com - Your Name sent you Article details of "Islanders Blown Out by Philly, Rangers Win a Tight Game"